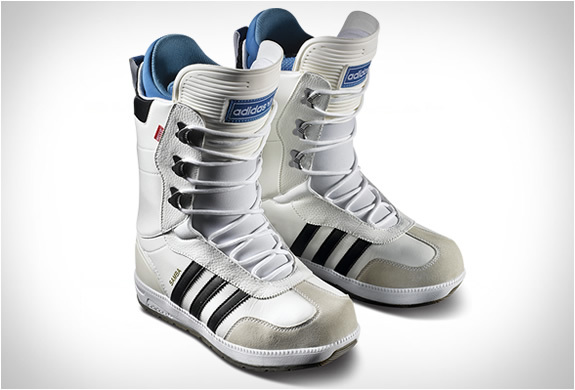 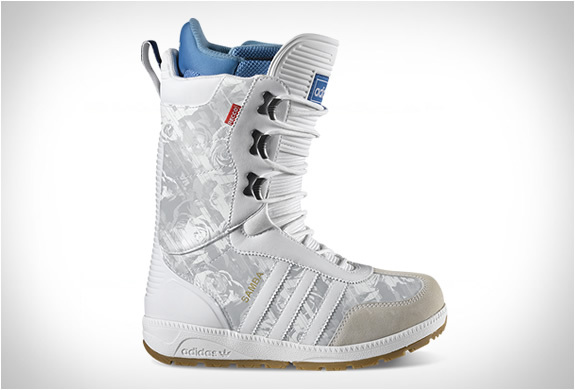 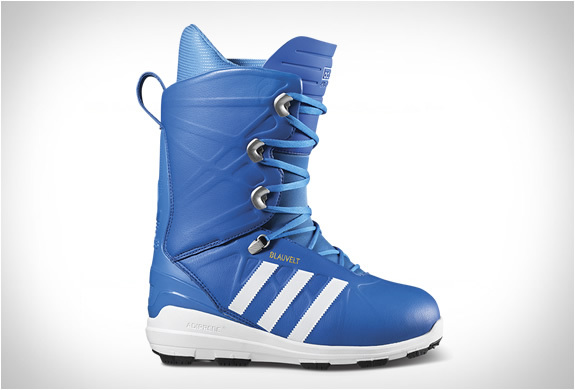 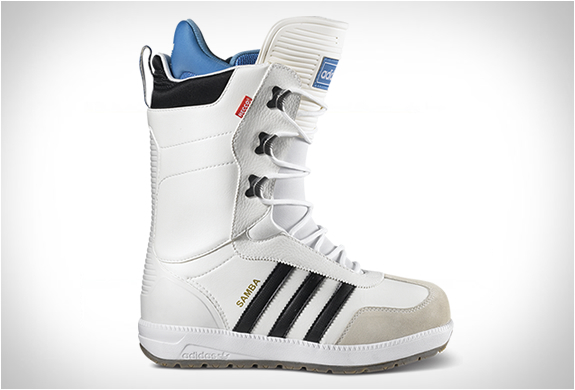 Adidas have presented their first collection of snowboard boots. 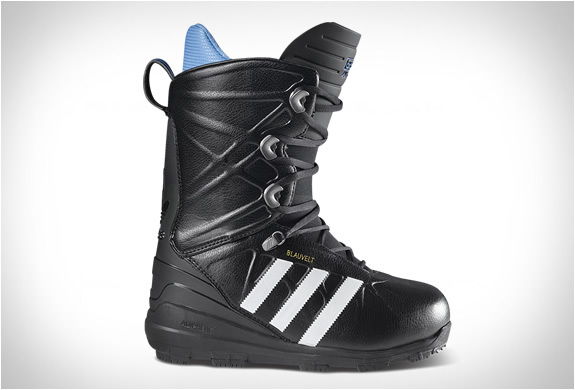 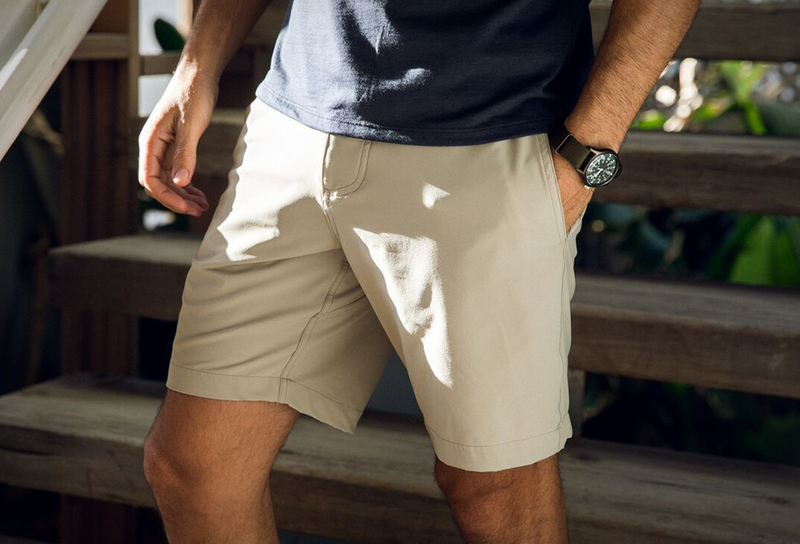 The contemporary and stylish line includes a reinterpretation of the classic Samba sneaker and a signature boot for snowboarder Jake Blauvelt. 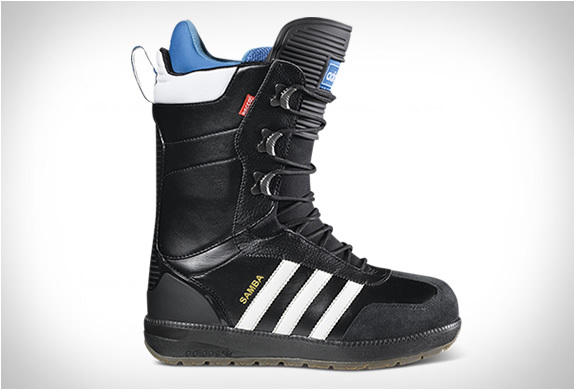 The boots are packed full of technological features including Continental rubber, Recco avalanche rescue technology, Aerotherm thermal barrier, and recycled coffee ground materials for odor neutralization.